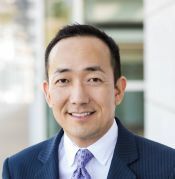 Dr. Yun is a board-certified Urologist who attended medical school at Columbia University in New York and completed his urology residency at the University of California, San Francisco (UCSF). He has extensive surgical experience and is published in numerous journals and books. In addition to his active clinical practice, he also is a clinical faculty member and regularly teaches urology residents and medical students.